Fruits are harvested continuously from May until late November by Eastern European workers under the supervision of skilled and trained supervisors. All picking and packing of produce is strictly monitored by skilled and trained supervisors. They set picking targets from our customer standards and specifications which are audited throughout the season. High standards of food hygiene and crop handling are maintained. The picked fruit is transported directly to the rapid cooler, then packed in our Packhouse, stored temporary in cool/chilled conditions and delivered on a daily basis in refrigerated trailers directly to regional distribution depots operated by supermarkets. 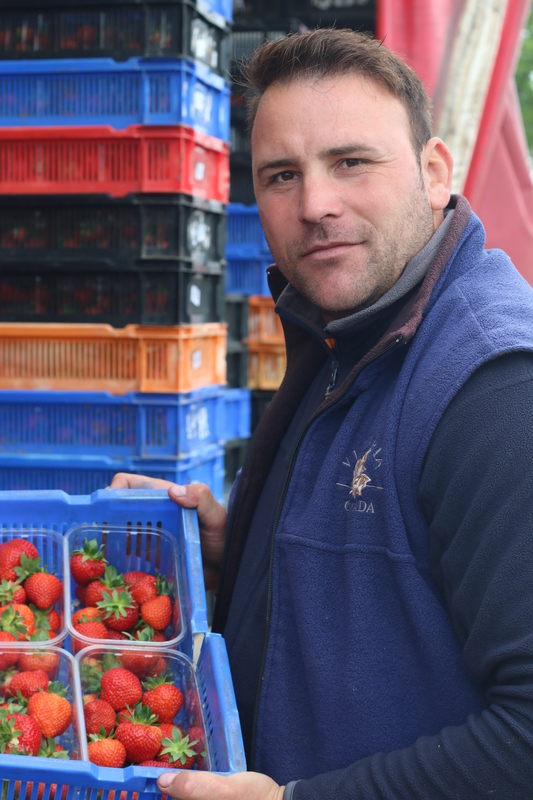 The farm provides the highest quality fresh strawberries available from mid-April until mid-November; all are grown in poly tunnels. Strawberry varieties grown on the farm are divided in two groups June bearers are: Sonata, Flair, Vibrant, Diamond and Solero, Everbearer are: Amesti, Camarillo, and Scarlet. …strawberries are not actually fruits as their seeds are on the outside. Strawberry plants are runners, and are not produced by seeds. They have an average of 200 seeds per fruit and are actually a member of the rose (rosaceae) family. Strawberries have a long history and have been enjoyed since the Roman times. Native to many parts of the world, hundreds of varieties of strawberries exist due to crossbreeding techniques. In 1714, a French engineer commissioned to Chile and Peru, observed that the strawberry native to those regions was much larger than those found in Europe. He decided to bring back a sample of this strawberry to cultivate in France. 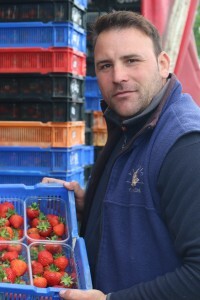 The end result was a large, juicy, sweet hybrid (the modern garden strawberry) that became extremely popular in Europe. Strawberries are an excellent source of vitamins C and K as well as providing a good dose of fibre, folic acid, manganese and potassium. They also contain significant amounts of phytonutrients and flavonoids which makes strawberries bright red. They have been used throughout history in a medicinal context to help with digestive ailments, teeth whitening and skin irritations. Their fibre and fructose content may help regulate blood sugar levels by slowing digestion and the fibre is thought to have a satiating effect. Leaves can be eaten raw, cooked or used to make tea. The strawberry season in the UK is short and runs from the end of May through July. To achieve maximum yields during this short season, farmers need to protect emerging berries from the muddy soil. They do this by spreading a layer of straw around each new plant – hence the name strawberry. Raspberries are grown in tunnels, they are really popular summer fruits and are very easy to grow. 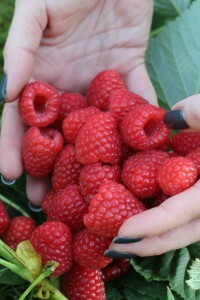 Raspberries are picked from early June to late November. Our favourite variety is Driscolls Maravilla – fruit are large, bright, good shape, excellent taste and a tremendous shelf life. Cherries are grown in tunnels; they prefer deep, fertile and well – drained soil with pH6.5-6.7. 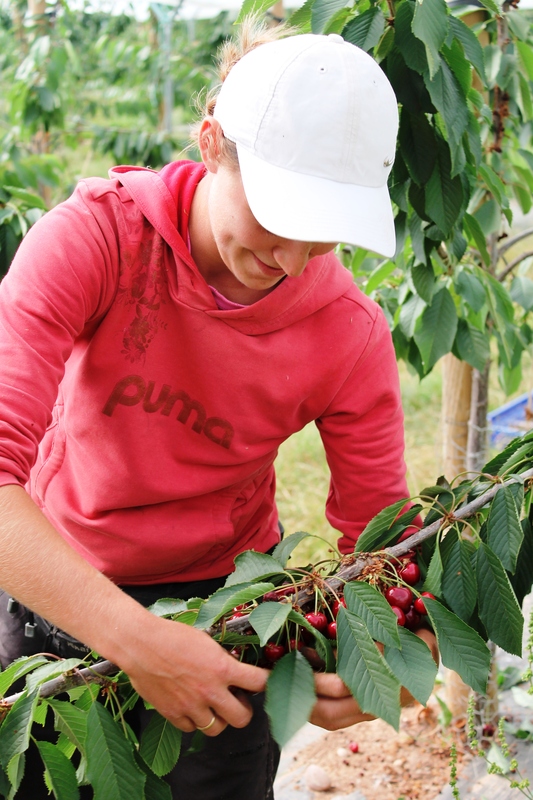 Some of our varieties include Sweetheart, Kordia, Karina, Regina, Lapins, Our first cherries have been picked in 2014 season. One of the delights of the summer, cherries are much loved for their succulent texture, flavour and gorgeous good looks. The juicy flesh can be sweet or sour, depending on which of the hundreds of varieties they are. Cherries are divided into three groups: sweet, sour and hybrids. Buy plump, shiny cherries that have their stalks attached and look for fruit that is dark red, firm but not hard. Generally, pale cherries are sweet and dark cherries more acidic. It is always a good idea to try before you buy to get the flavour that you prefer.